Inside-out engineering starts with our patented VIP insulation composite which results in a highly efficient, thin-walled cabinet. Insulated inner doors improve temperature uniformity, minimize cold air loss from frequent door openings and extend warm-up times during power outages. The PHC engineered compressor powers the auto-cascade single refrigeration system. The system provides dependable cooling by balancing temperature performance and energy management. Reserve refrigeration power assures exceptional temperature recovery following door openings. VIP Series freezers have demonstrated >99% reliability with excellent performance history. 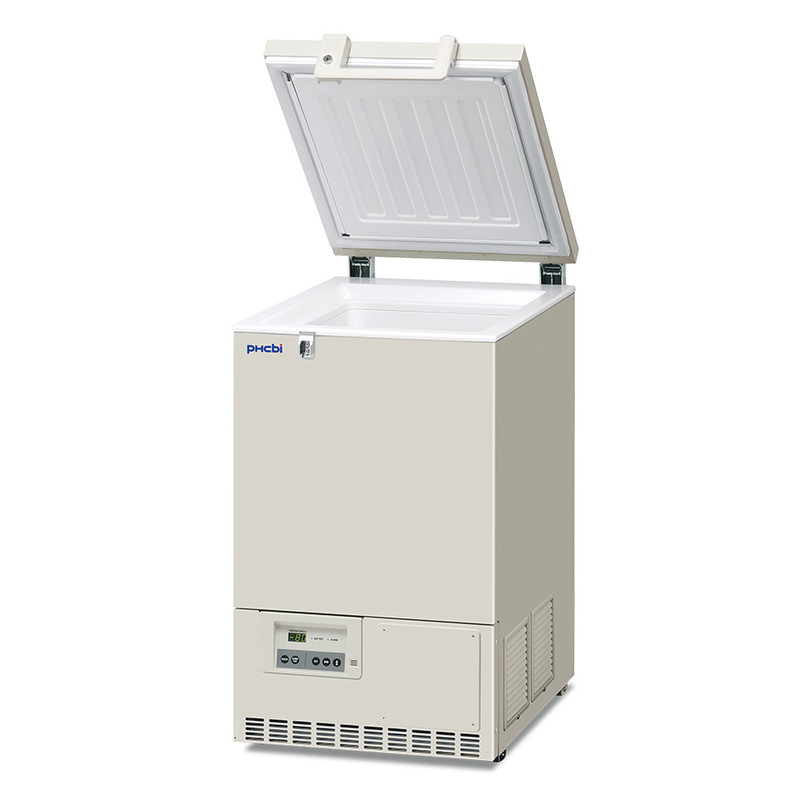 The PHCbi VIP Series ultra-low temperature freezers are designed for safe, reliable storage or biologicals. The advanced combination of cabinet design, electronics, refrigeration and critical components are engineered for enhanced security, performance and reliability. The integrated microprocessor controller with LED display includes alarms, diagnostic and communication features with monitoring of system and compressor operating conditions. The robust refrigeration system, powered by PHC engineered compressors, provides dependable cooling by balancing temperature performance and energy management. Reserve refrigeration power assures exceptionally fast temperature recovery following door openings. The combination of patented VIP vacuum insulation panels with the PHC designed compressor and refrigeration system is specific to ultra-low temperature applications assuring superior uniformity (+/-5°C) throughout the cabinet to maintain the integrity of the samples. 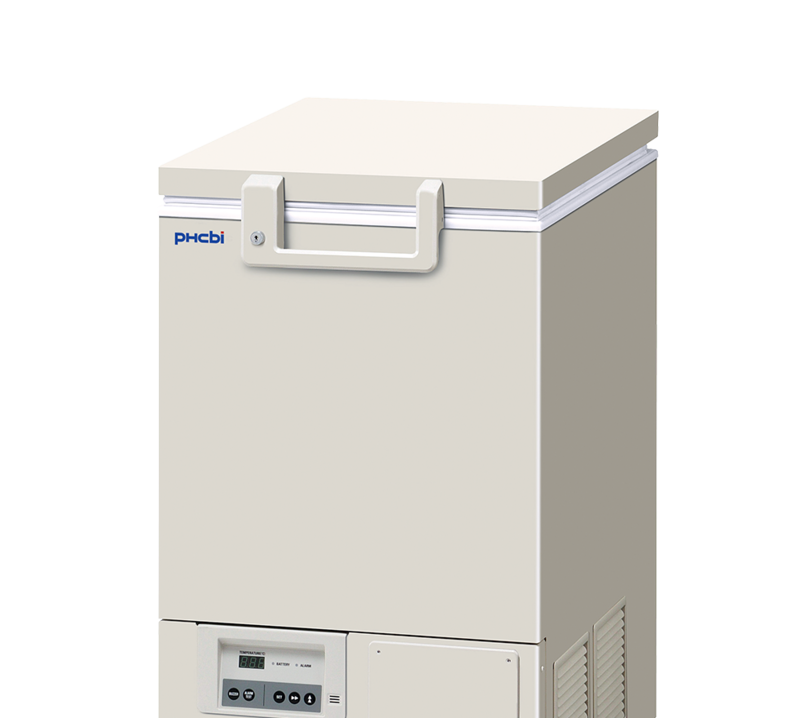 The small laboratory freezer employs a patented VIP insulation composite that maximizes space efficiency. 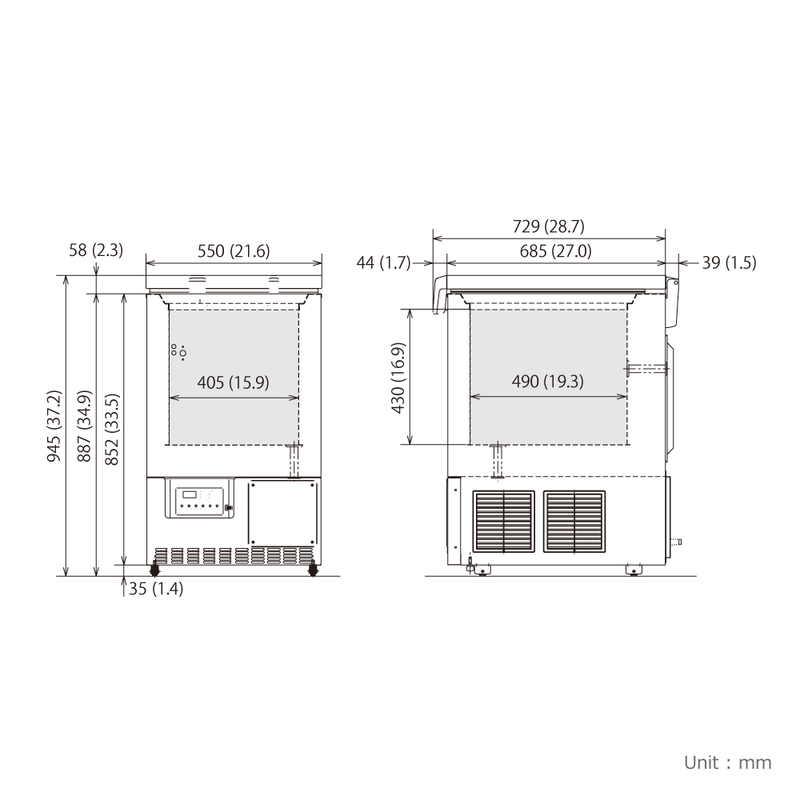 Store up to 42 2" boxes or 30 3" boxes within an efficient 4.07 ft2 (0.38 m2) footprint. Ideal for storage of DNA, RNA, and other biological samples. Insulated locking lid with multi-level gasket seals firmly against the cabinet to minimize change in interior temperatures during routine openings. The lid handle features an ergonomic design that allows one-handed access. The PHCbi VIP ultra-low temperature freezers represent the complete combination of refrigeration, control, alarm configuration, monitoring, and accessibility for product safety at -86°C. Well-known for its reliability, energy savings, and performance, the VIP Series is ideal for material storage in biorepositories, hospitals, clinics, and medical research facilities. 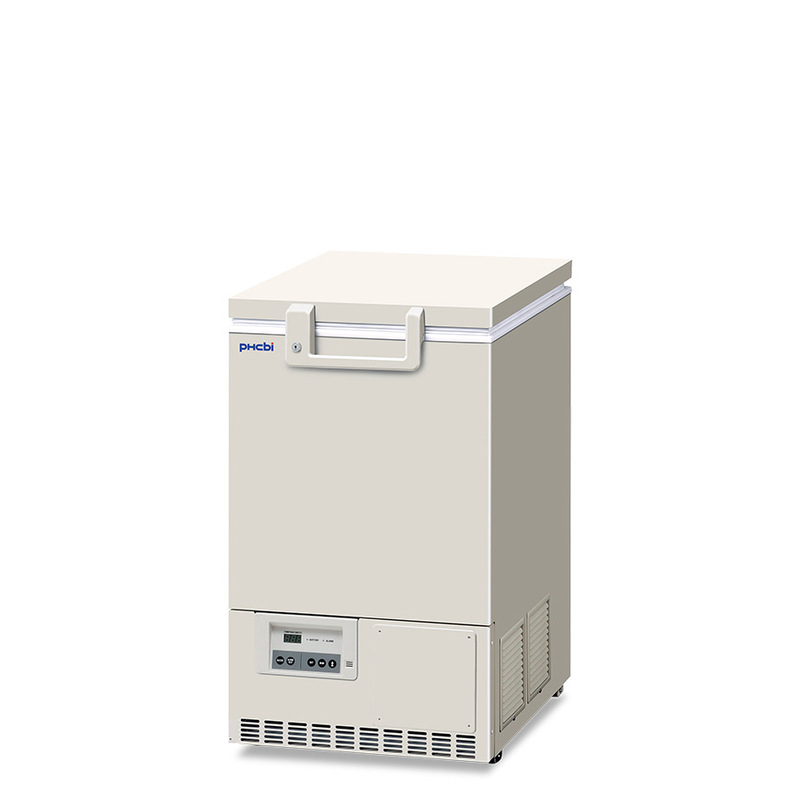 The MDF-C8V1-PA compact biomedical freezer boasts a powerful VIP insulation panel that maximizes storage capacity while keeping temperatures consistently uniform. The uniquely engineered single-compressor system provides higher energy efficiency and more savings annually, all within an ergonomic and compact design.